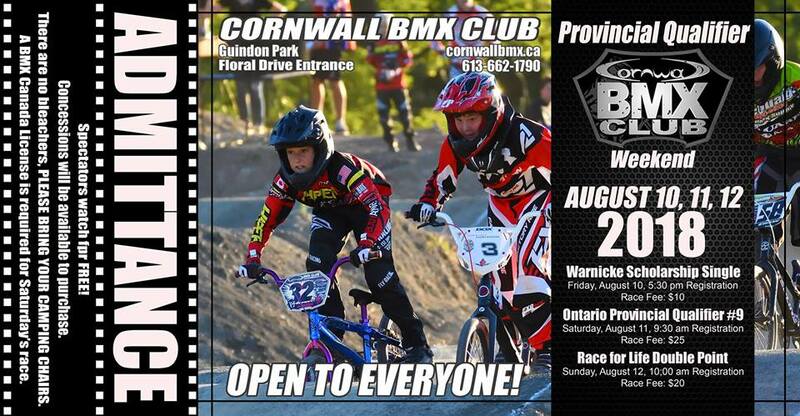 Join us in celebrating the 1st ever Cornwall BMX Provincial Qualifier weekend. Be a spectator and cheer on these athletes!! We hope to see you there supporting a wonderful event! The First ever Cornwall BMX Club Provincial Qualifier weekend will be the last opportunity for riders from Ontario to qualify for the 2018 Provincial Championship. Saturday's race will be open to all riders who hold a valid BMX Canada or USABMX membership and the entire event is free for all spectators.